I was excited back in 2010 when Scott Brown beat Martha Coakley in the special election for the senate seat vacated by the passing of Senator Ted Kennedy. It was encouraging and seemed to signal a change in Massachusetts residents that had become disillusioned with endless nanny state, left wing, liberal governance. With some of the worst 2nd amendment laws, rules and regulations in the nation and perhaps the highest taxes people in Massachusetts gave the senate seat to the Republican Brown hoping he would do what he could to alleviate some of these oppressive constraints. Given all of his campaign promises one would think he was pro freedom and liberty and might be a good addition to the U.S. Senate. That unfortunately turned out to not be true. 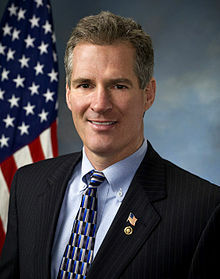 In his first chance to prove who he really is and what he genuinely supports Senator Scott Brown voted YES on the 2012 National Defense Authorization Act (NDAA). This post appeared in the Politics category. All of the views expressed are not necessarily endorsed by Infowars.com. Could We Please Stop Using The Word “Incompetent” To Descibe Government! Open Carry Walks – CATIAustin, Come and Take It! !